Did you know that a mix of ice and water together will cool down your drinks faster than ice alone? A couple of weeks ago, we invited a few friends over for a relaxed dinner out on the patio: steaks straight from the grill, a large, fresh salad, grilled potatoes, and blueberry pudding cake for dessert. I headed out to pick up steaks and veggies, and my husband was in charge of picking up the beer. We met up back at home realized we didn’t have enough space in the fridge for both the beer and food. Steak and veggies take priority, so we moved on to Plan B: icing everything down just before guests arrived. I’ve picked up a few tricks over the years, and I feel like this one is worth sharing. Whether your fridge is too full of food to also accommodate drinks, or you simply forget to chill the white wine, beers, or anything else you want to serve, remember to mix your ice with water for faster results. 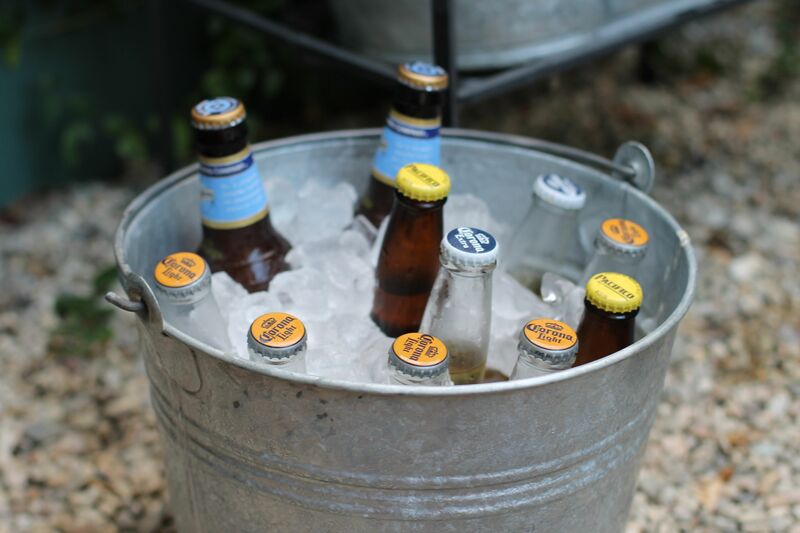 We loaded up the beers into a large galvanized tub, poured over a bag of ice, and tossed in a bucket of water to immediately cool everything down. 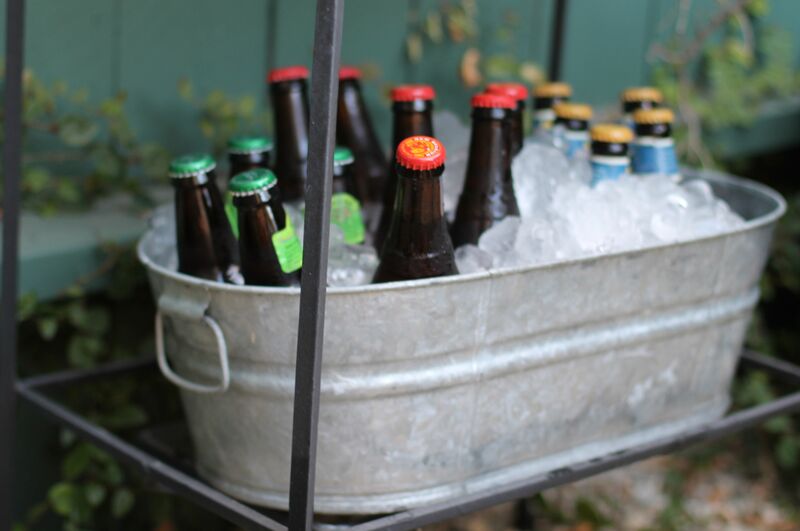 The added bonus is that you can set the tub of beer out for guests to help themselves to whatever they like. Just remember to keep a bottle opener handy for self-service, which will allow you to relax and enjoy your own party without having to hop up every few minutes.